Here’s something you don’t see every day, a pokie based around a classic table game, in this case Craps. It’s a fairly obvious concept when you stop and think about it, but seem pretty unique, so it’s good that Microgaming, one of the most reliable and trusted online games developers has had the foresight to bring it out. The six of the title refers to the dice that are rolled in a Craps game, and it’s a wild symbol that boosts player’s winnings, while this pokie comes with a free spins bonus round that involves the dice potentially multiplying wins several times over. Scatter payouts, a gamble game and the option to wager from just 0.01 a spin should ensure that Joy Of Six brings joy to players at the many online casinos which carry the Microgaming range. This pokie is laid out in the classic 5-reel format, and there are 30 payline for players to activate. The more lines activated, the more winning combinations will land, so most people opt to play them all and adjust the amount staked on each one to suit their bankroll. Control buttons below the reels are used to adjust the wager per line from 0.01 to 1.00, the number of coins from 1 to 5 and the number of lines which gives a maximum bet of 150.00 per spin. They can also set the reels to spin in Autoplay mode for a set number of times, or until a pre-determined balance is reached, or prize won. The game itself is set against the dark green of a Craps table and has the traditional 9, 10, J, Q, K and A symbols in various colours. 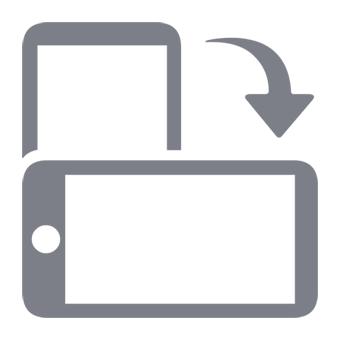 These are the lower value icons, so the picture symbols of a drink, some playing chips and the Joy of Six logo are the more rewarding ones to land, with prizes paid whenever 2 or more of the same symbol lands across an active payline running from the reel on the left. Potential prizes are from as little as 10 coins to as much as 3000 of them, depending on what symbols land in the right places and how many of them appear. To help players get more winning spins, the dice symbol is wild, meaning that it will act as any others, with the exception of the scatter, if it helps to complete a winning line. The base value of the win will be doubled when this happens, although unlike many other pokies where the wild symbol pays out the biggest prizes when it fills a line, it’s got no value of its own. A croupier is the scatter symbol, and she will award between 6x and 300x the total bet amount, while 3 or more landing anywhere at once will also trigger 15 free spins. Throughout these spins, the wild dice symbol can award a big multiplier if it becomes part of any winning combination, as any of the dice on screen will roll to reveal a multiplier of between 1x and 6x the base value of the win. If 3 more scatters appear during the free games, a further 15 spins will be added to the end of any currently left to play out, and in theory there’s no limit to how many times that can happen. 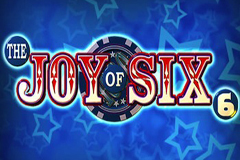 Like many Microgaming pokies, Joy Of Six has a gamble game which players can opt to try after any winning spin, except jackpot wins. All that’s required is for them to correctly guess the colour of a playing card to double the amount just won, or pick the right suit to quadruple it, and then choosing to collect the new win, collect half of it, or try to multiply it over again until the gamble limit is reached. Joy Of Six brings some of the excitement of the game of Craps to the pokie realm, without any of the mind-boggling difficult rules that come with the table game. It’s pretty straightforward, with a couple of decent bonus features and a pleasing design. One issue is the wild multipliers that occur during the base game may not automatically happen during the free spins round, which seems a bit mean. If the dice rolls a 1x multiplier during the free spins, players have actually lost out on the benefits that they get with the wild substitutions in the base game being doubled. That doesn’t seem right somehow, although it’s compensated for by the opportunity to get a 6x multiplier instead, and overall, this is a good quality pokie that pays out a fair return.